Anthony Smith is projected to win re-election as county supervisor by a close margin while Nancy Smith received the most votes in the Maricopa City Council race. 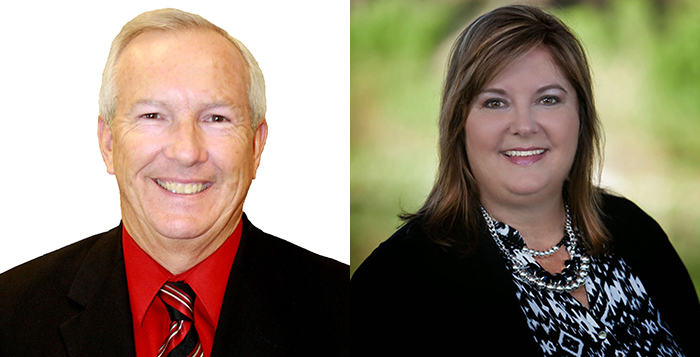 Early election results in Pinal County show a supervisor hanging onto his seat while his wife may have been re-elected outright to the Maricopa City Council. Anthony Smith looks to have held off a boisterous challenge from Rich Vitiello. He has a little more than 54 percent of the early totals. With Vitiello receiving at least 45 percent of the vote, Smith anticipates the precinct breakdown will show strong Vitiello support in the Hidden Valley area, where residents were upset over the concept of the Palo Verde Regional Park. “The survey showed some people wanted the choice of having no action on the park, so I put that on the table,” he said. With no Democrats running, the primary results are a re-election for Smith. Meanwhile, Nancy Smith at this point in the vote count has exceeded the threshold determined by state law calculations, which would re-elect her to the city council. If the early statistics hold up, Smith will not have to run in the General Election in November to retain her seat. Those below the threshold go forward to a runoff in the general election. That includes former councilmember Julia Gusse (who has the second highest vote total), incumbents Marvin Brown and Bridger Kimball along with former councilmember Dan Frank.